Lehenga Sharara are traditional Indian outfits for women. 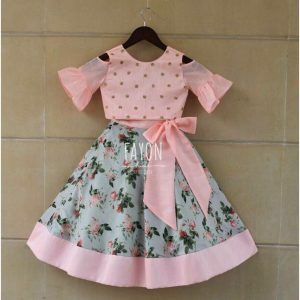 This dress looks cute and beautiful on women of all ages. However, did you know that there are various ways in which you can drape the dupatta of the lehenga to create a unique look that will make you stand apart from the rest of the crowd? 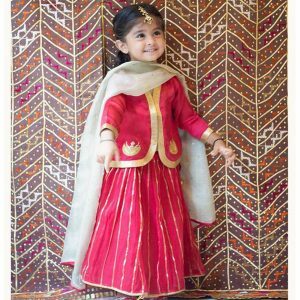 This festival season make everyone stand up and appreciate your little girl by dressing her up in pretty Lehenga Sharara sets. 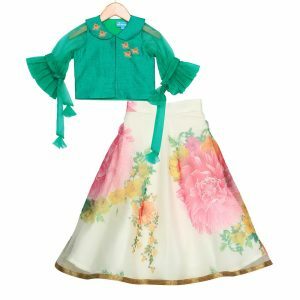 You will find an exclusive selection of kids Lehenga set online at Curious Village. Curious Village, a top-notch fashion destination for kids clothes and offers, displays an exquisite selection of ethic wear for girl child. Our selection includes top picks from leading designers such as Asya, Be Bonnie, Birds of Paradise, Chandamama, Chiquitita, Fayon, Forty Red Bangles, and more. 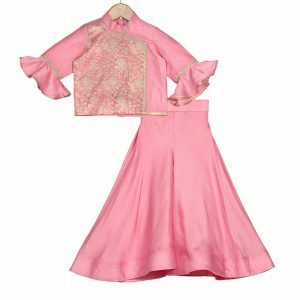 Browse through our selection to buy designer kids Lehenga Sharara online at amazing prices. So, what are you waiting for? 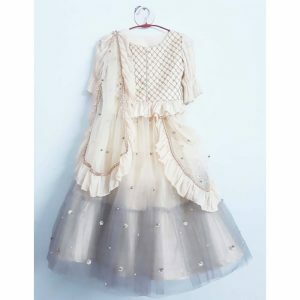 Buy the best kids lehengas online at Curious Village, the leading online shopping store for kids clothes.